One of the easiest ways to drive traffic to your website is by donating a prize to a contest held on someone else’s website. How can donating prizes to a contest help you get traffic? When a website owner decides to hold a contest, there is one major problem. Where can the owner find prizes to make the contest really appealing? This is your chance to get some exposure for your website. When you donate a prize to a contest, the website owner will usually link back to your website in exchange, but be sure to verify this in advance before agreeing to participate. Also, ask the website owner where she is promoting the contest. If she is hosting the contest and assuming that traffic will just naturally come, then move along. You want the owner actively promoting the contest on busy contest sites and freebie sites as well as plugging it in mailings lists in order to make the donation worth your time. This can be a win-win situation for you and the website owner. They get more prizes and a more appealing contest. 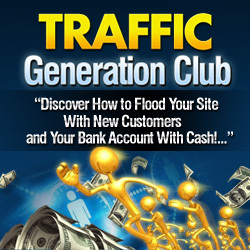 And, you get a boost of traffic to your website during the duration of the contest. Of course, you can’t run around giving away prizes all over the internet if you have a product and have to pay for shipping. That won’t work at all. So, you do have to be selective in choosing the contests that you will participate in. However, if you sell an intangible product like an ebook or audio, then you can more freely participate in contests as it doesn’t cost you anything out of pocket for the exposure. How do you find a contest to donate prizes to? This is another example of how well networking can work. Keep your eyes open watching for someone to announce a contest, and jump right in with your generous donation. Or, you can search google for “contest listings” or “submit your contest” and find contests that are currently running (and promoting their events) and contact those site owners with your offer to donate a prize. Usually they will be very thankful for your kind offer and welcome it. On occasion the contest may be closed to donations, but those are few and far between.